With blue skies and humid conditions, we expected a lot of offense in the Spring 2018 AAA Championship game between the 2nd seeded Raptors and the top seeded Lugnuts, and the 2 squads didn't let us down. 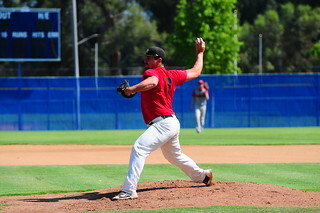 Ryan Stevens led off the top of the 1st for the Raptors against 2018 Cy Young award winner Josue Iniguez. Stevens worked a full-count walk, then moved to 3rd on Nolan Flashman's single. Nick Manning grounded out to second, putting the Raptors on the board 1-0. The Lugnuts wouldn't wait to get their offense rolling. With one out, Ryan Tiidgen got hit by a pitch. Brandon Kaufman walked, and Charlie Green was hit by a pitch. A pair of wild pitches plated 2, and Kacey Funes walked. Joel Inguez singled home a pair, and Jeremy Miller reached on an error. Tom Shepherd grounded out to plate Iniguez, and Tim Wayne singled home Shepherd. After batting around in the inning, the Lugnuts took a 6-1 lead. This must have set Josue Iniguez's mind at ease, as he went into cruise control and put up zeroes over the next 3 innings. Meanwhile, the Lugnuts kept up the pressure on offense. 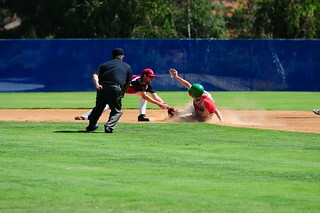 In the bottom of the second, Kaufman singled and moved to third on a Kacey Funes single. 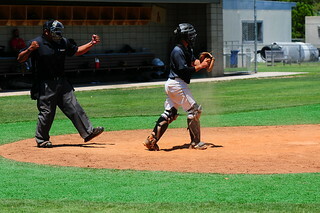 Joel Iniguez walked to load the bases, and Jeremy Miller singled home one. Tom Shepherd worked a 10-pitch walk to bring home another, and the Lugnuts extended their lead to 8-2 after 2 innings. The Raptors handed the ball off to Ryan Stevens, who would quiet the hot Lugnut offense for awhile. Fast forward to the top of the 5th, when the Raptors' bats finally showed up. Brett Klasko led off with a walk, and moved to 3rd on a Ryan Stevens single. Nolan Flashman brought home Stevens on a sacrifice fly. 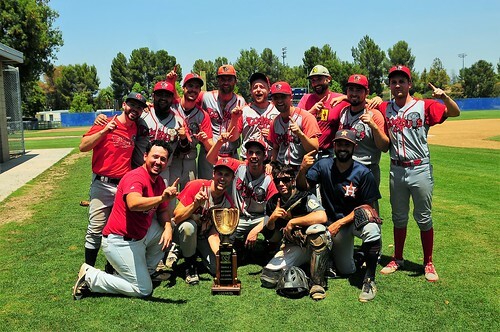 Lalo Beron and Brandon Borello followed with back-to-back singles to bring home another, but got greedy attempting to take extra bases to end the rally. The Lugnuts answered right back in the bottom of the inning. Jeremy Miller and Tom Shepherd led off with back-to-back walks, and one out later, Mitch Miller hit a 2-run double to give the Lugnuts a 10-3 lead. In the top of the 6th, the Raptors added another run on a Jesse Davis single, a Job Lowen single, and a few wild pitches. After 6 innings, the Lugnuts led 10-4. The score was the same heading into the bottom of the 7th, when the Lugnuts put things one ice. Pinch hitter Will Greene walked, and Tom Shepherd singled him to third. Tim Wayne walked to load the bases, and Bing Cane reached on an error to bring hom Greene. 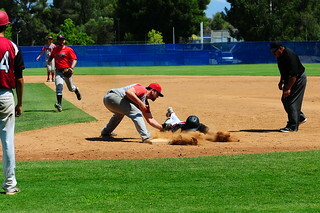 A double play ground out brought home another, and Ryan Tiedgen reached on an error to plate yet another run. The inning would have gone even longer, except for an amazing catch by Raptor's center fielder Brandon Borello, laying out to make an impossible grab and limit the damage. After 7, the Lugnuts led 13-4. With side-arm closer Brandon Kaufman on the bump for the Lugnuts, it was light's out for the Raptors, as he worked 3 innings of scoreless relief to bring home the trophy. The Raptors have a lot to be proud of this season after not even making the AA playoffs a year ago! But this day belonged to the Lugnuts - your 2018 AAA Spring champions! 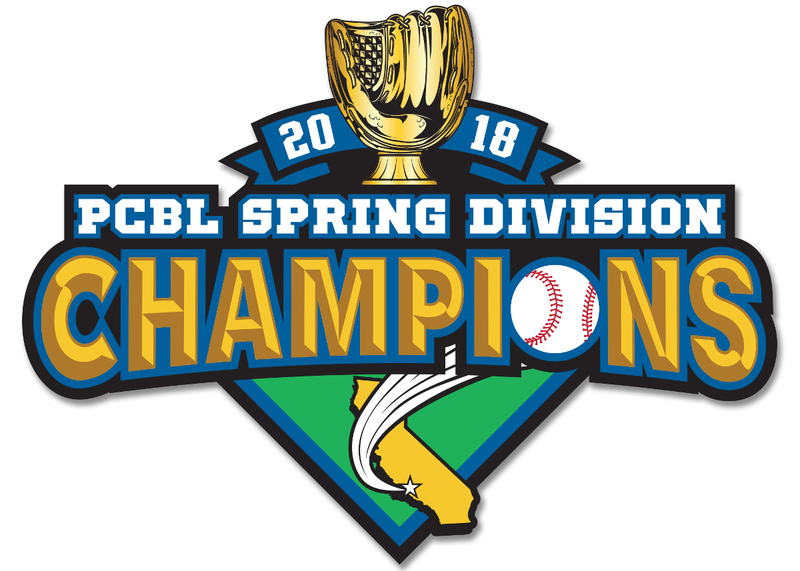 Congratulations to the 2018 AAA-Division Champion Lugnuts!